All new kitchen — 172 Spruce St. This kitchen was a little tricky, because the space is so small, but it all worked out in the end. 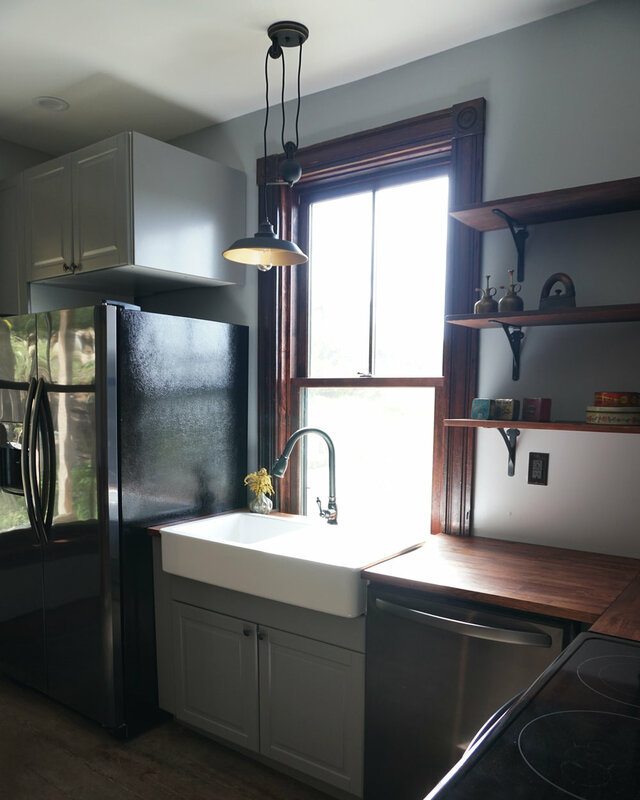 Everything in the kitchen is new, but we think the cabinets and the sink complement the old charm of the building.